This model instructions for the cancellation of consumer contracts reflect the requirements of the Consumer Contracts (Information, Cancellation and Additional Charges) Regulations 2013. In particular, these instructions reflect the text of part A of Schedule 3 to those Regulations. This document is more suitable for contracts relating to goods than those relating to services, although it attempts to cover both categories. 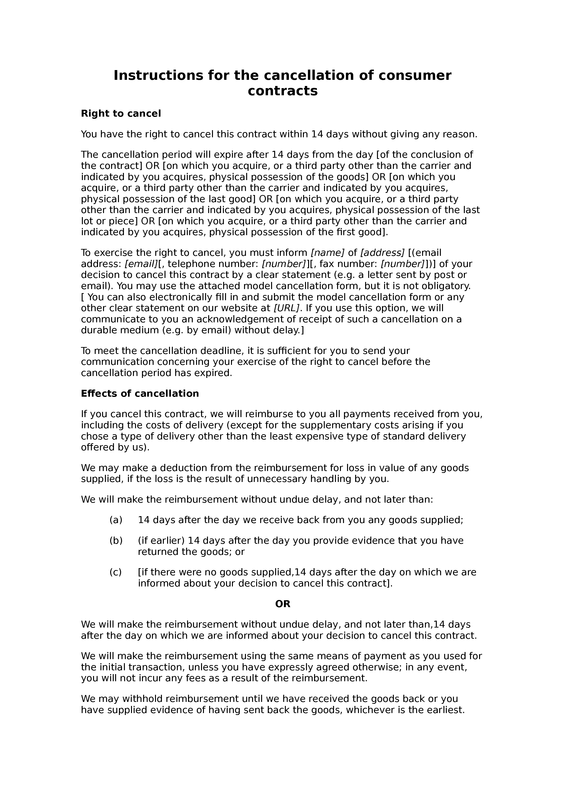 NB many of our premium ecommerce terms and conditions incorporate adapted (and in some sense improved) versions of these clauses, and if you are using one of those documents you probably do not need this document. This is crown copyright material available under the Open Government Licence v3.0 (http://www.nationalarchives.gov.uk/doc/open-government-licence/version/3/) at http://www.legislation.gov.uk/uksi/2013/3134/made. Right to cancel: cancellation of contract; expiry of cancellation period; exercising right to cancel; meeting the cancellation deadline. 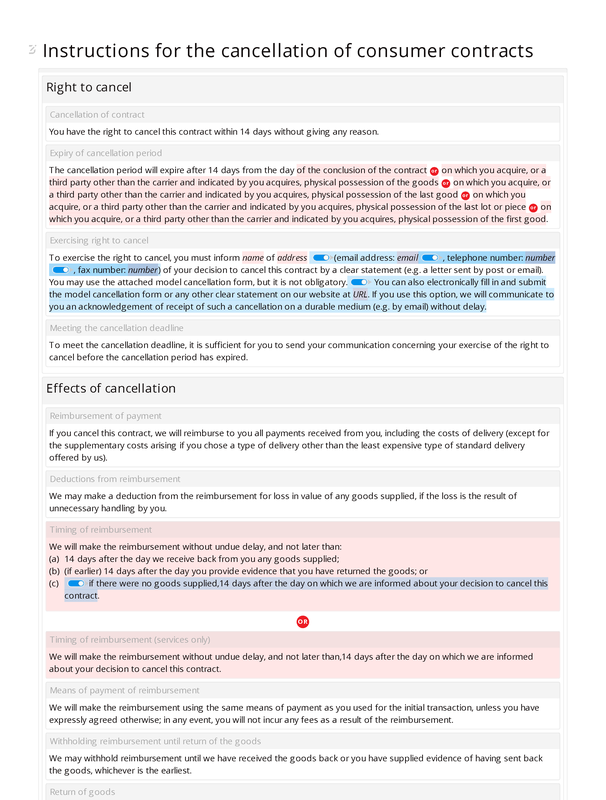 Effects of cancellation: reimbursement of payment; deductions from reimbursement; timing of reimbursement; timing of reimbursement (services only); means of payment of reimbursement; withholding reimbursement until return of the goods; return of goods; cost of returning goods; liability for diminished value of goods; proportionate amount due in the case of service contract.